Full Timeout: NBA Podcast is about everything surrounding the NBA world. In this series we discuss player movements, Rumors, game previews, recaps, stats, analytics, NBA history and more! EMERGENCY PODCAST! OKC Thunder, Billy Donovan out? Spurs? Kawhi? Cavs on a roll, Derrick Rose Consipiracy, Marc Gasol trade? Memphis rebuild + More! 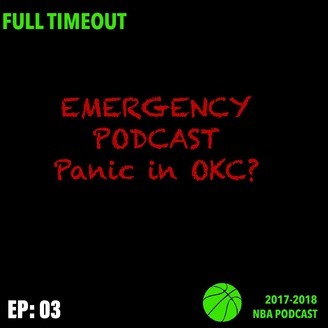 Episode 3: EMERGENCY PODCAST - OKC loses again! Do we need to Blow up the thunder? Will Paul George resign? Melo to play with LeBron? Cavs on a roll, Derrick Rose Conspiracy, Marc Gasol trade? DeAndre Jordan trade? Monday night NBA picks. Also _ _ _ _ Zaza (shout out to our reddit listeners). Follow us on twitter: @therealalianwar | Instagram: nba_fulltimeout | Subscribe on iTunes, Like and share! Email us and join us in NBA discussions. 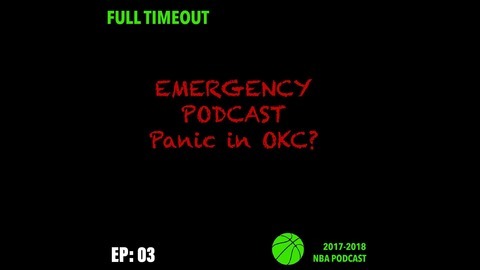 Is it time to panic in OKC?